California is a spectacle in itself. Fortunately, there are more than enough places to enjoy the Golden State and all of its natural beauty. Honestly speaking, you are going to be treated to breathtaking scenery pretty much anywhere you go in California. When it comes to parks in this part of the country, it’s comparable to reaching into a bag of candy and pulling out all pink starbursts. Or a bag of Gardetto’s that are all rye chips. Basically, you can’t go wrong. Regardless of whether you live in California or are planning a vacation, here are four national parks EVERYONE should see during their lifetime. 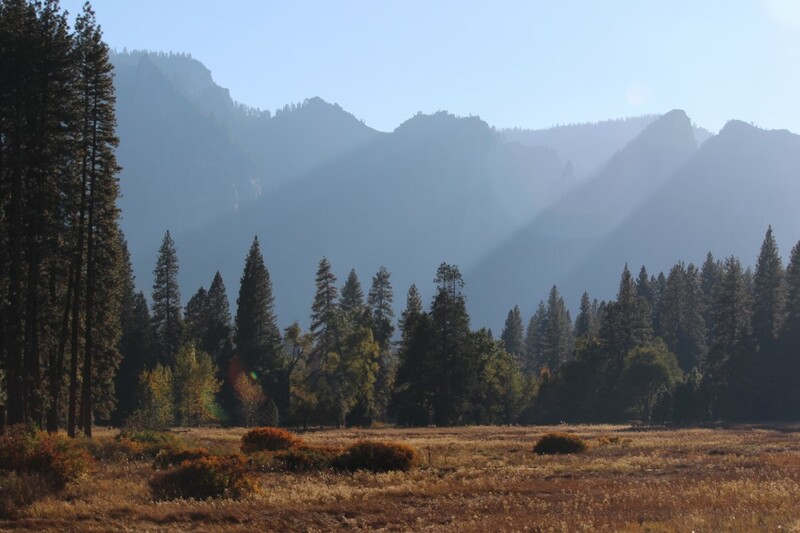 Many people would consider Yosemite National Park the natural jewel of the entire United States. If you’re going to see any park in California, this is the one. Due to the extensiveness and sheer beauty of the land, it’s strongly recommended you spent AT LEAST 2-3 days here. The park is incredibly rich with wildlife and glacier-formed geological wonders. Located about 200 miles east of Muir Woods National Monument (San Francisco Area), Yosemite has all kinds of recreational activities to keep you busy throughout your stay. Whether your bag is fishing, rafting, hiking, or just sitting around and taking in the Sierra Nevada views, this park is a paradise. 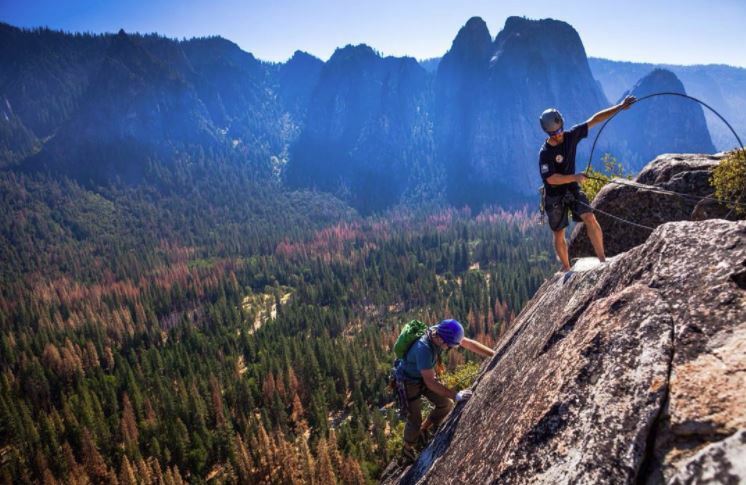 If you love to rock climb, Yosemite will be like you died and went to heaven. There are seemingly endless amounts of options for strolls in this giant park. While it’s nearly impossible to pinpoint the best one, Half Dome (via the Mist Trail) is definitely something to check out. This one will take some time to complete, as it’s just over 14 miles round trip. 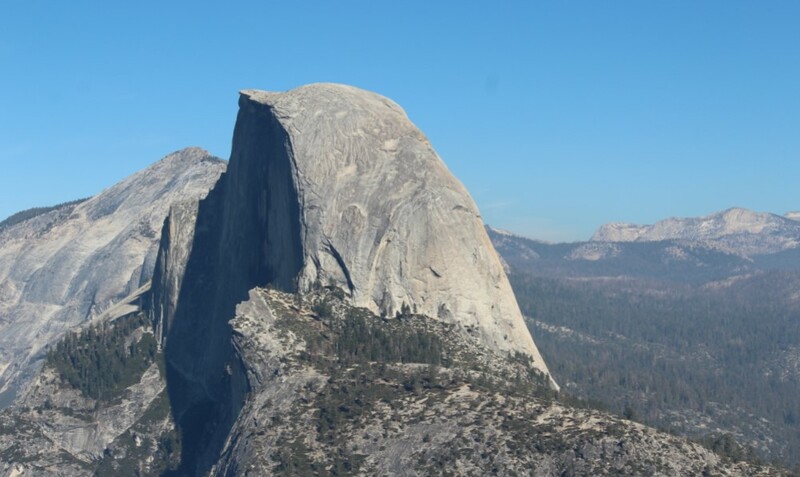 The Half Dome is widely considered the most iconic rock face in the whole park. Throughout the climb, you will be treated to views of Vernon and Nevada Falls. As the distance to the summit is over 8,840 feet, this hike isn’t for the faint-hearted. To take the more treacherous route, you will need to acquire a permit. If you’re feeling up to a challenge, Yosemite Falls Trail will not disappoint. This trail was built back in the 1870’s and is one of the oldest in the park. The journey to the falls is a 7.2-mile round trip and takes you up 2,600 feet. If you want to go all the way up to Yosemite Point (because why not), you are looking at an 8.4-mile trip cultivating at 2,900 feet. Yosemite is one of the greatest spectacles on the planet. Many will tell you that spring is the ideal time to visit the park. But, this shouldn’t limit you. Click here to reserve a stay! 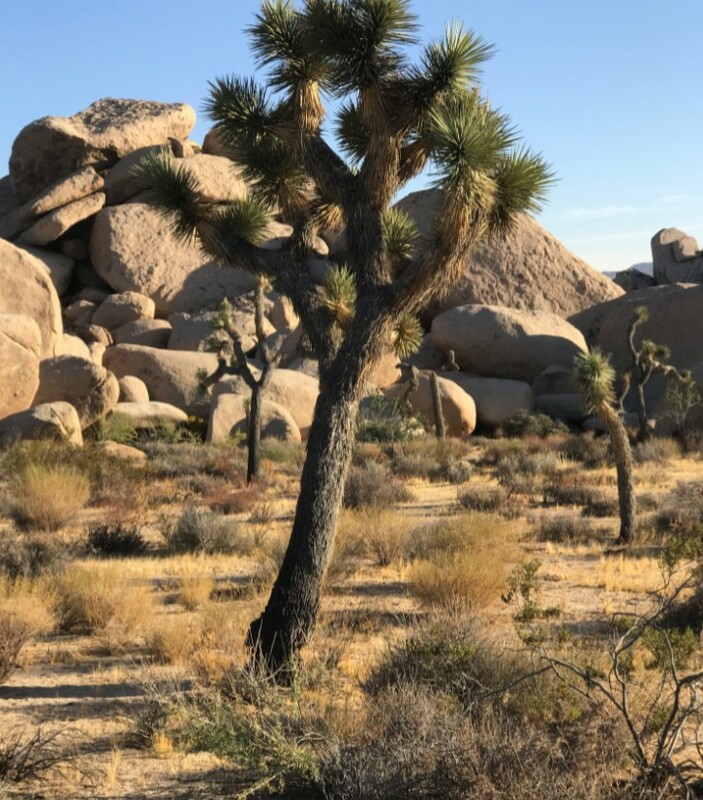 Named after the mystic-looking trees found all over the vast landscape, Joshua Tree is a desert paradise you have to see to believe. As mesmerizing as the trees are, the real trademark of the park is the giant rock formations. These come in the forms of huge piles of boulders. The coarse surfaces make it a rock climbing haven for people all over the world. Fortunately, you don’t need to be an expert to enjoy these natural playgrounds. 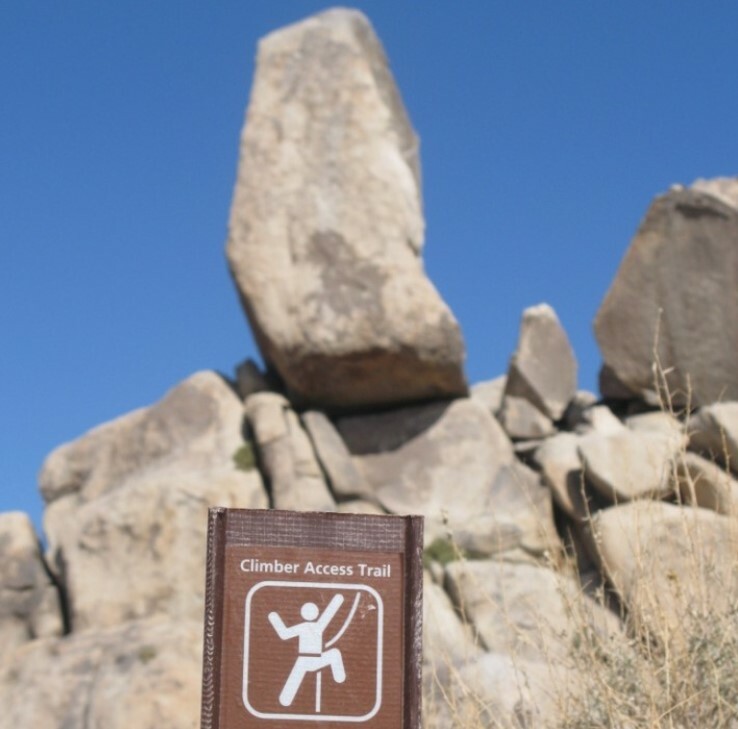 If you want to climb some of the granite rock faces, there are plenty of entry-level routes that only require a rope, harness, climbing shoes, and some calluses on your hands. The anchors at the top can be hiked to. If you don’t climb at all, there is all kinds of fun to be had just scrambling around on the boulders. When it comes to exhilarating hikes on the rocks, Hidden Valley is one you definitely need to hit. 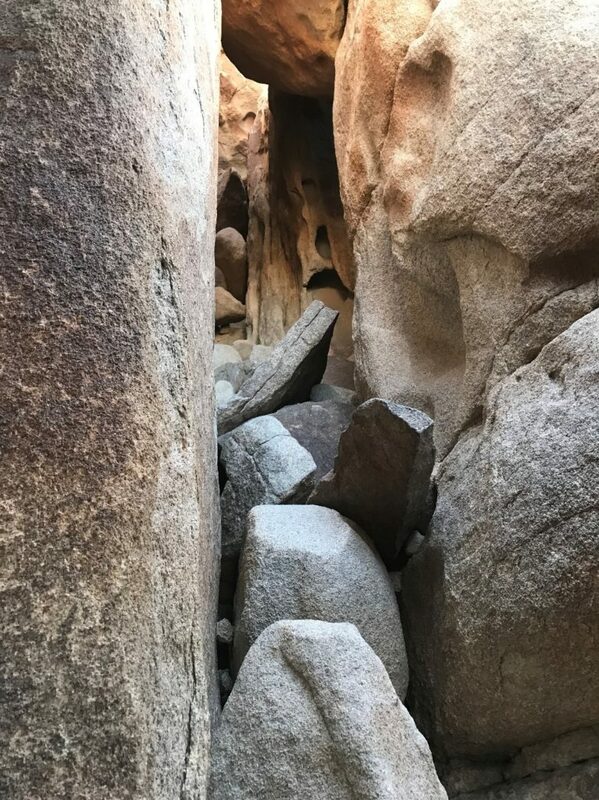 While there are many approaches to tackle this 1-mile trek, going straight through the boulder pile is by far the most adventurous. If you walk on the main trail for 5-10 minutes, you will be presented with a narrow, rocky path that goes right up to the top of the pile. If you’re feeling brave (and are wearing good shoes), this is the way to go. The crux of the hike provides one of the coolest views in the entire state of California! 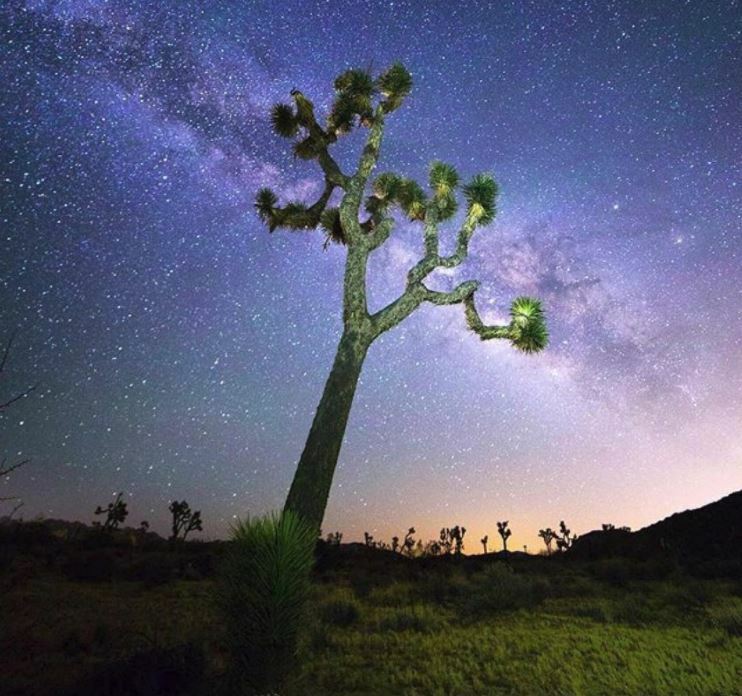 Nighttime at Joshua Tree is just as beautiful as it is during the day. No humidity or light pollution enables you to see just about every star in the sky, with the Milky Way being as prominent as can be! If you can, try to make a trip out during a meteor shower! There are campgrounds spread here and there across the park, only two of which have running water – Cottonwood and Black Rock. 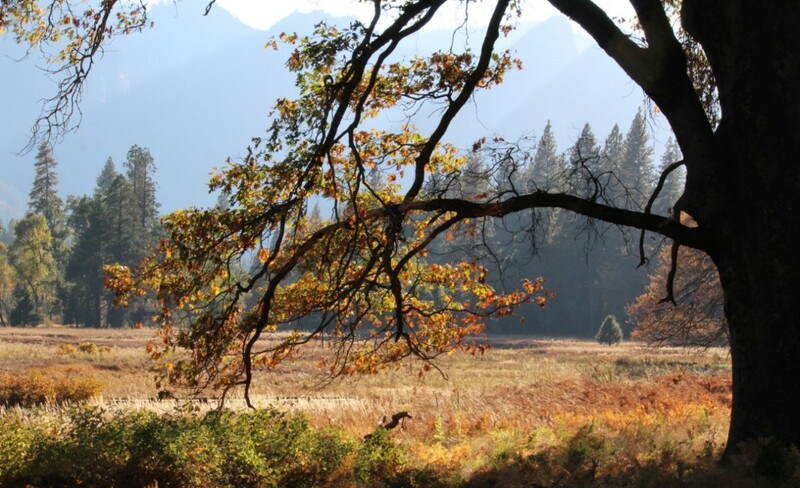 To avoid the overwhelming heat, it’s recommended to camp here in the early spring or mid-to-late fall. Be sure to book your stay in advance, as the campgrounds fill up VERY fast during these times. During the summer months, they are first-come, first-serve. Northern California is one of the most elegant regions in North America. 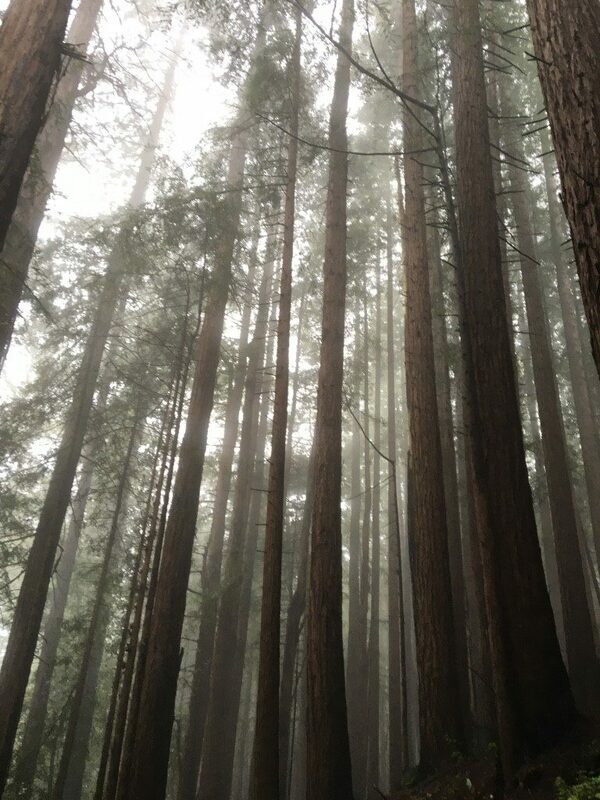 Redwood National and State Parks are home to the tallest trees on the face of the planet, and a set of Return of the Jedi. Before logging began to hit its stride in the 1850’s, towering redwood trees covered nearly 5,000 square miles of the northern coastland of California. Being as how these gorgeous trees are known to stand for thousands of years, this phenomenon can be quite depressing if you think about it. Throughout this colossal system of natural skyscrapers, there are practically endless amounts of hikes and adventures for you to take in the surroundings. The extensive network of trails spans more than 200 miles through damp, silhouetted forest. Perhaps the best part is the mild climate, of which allows a pleasant experience year-round. 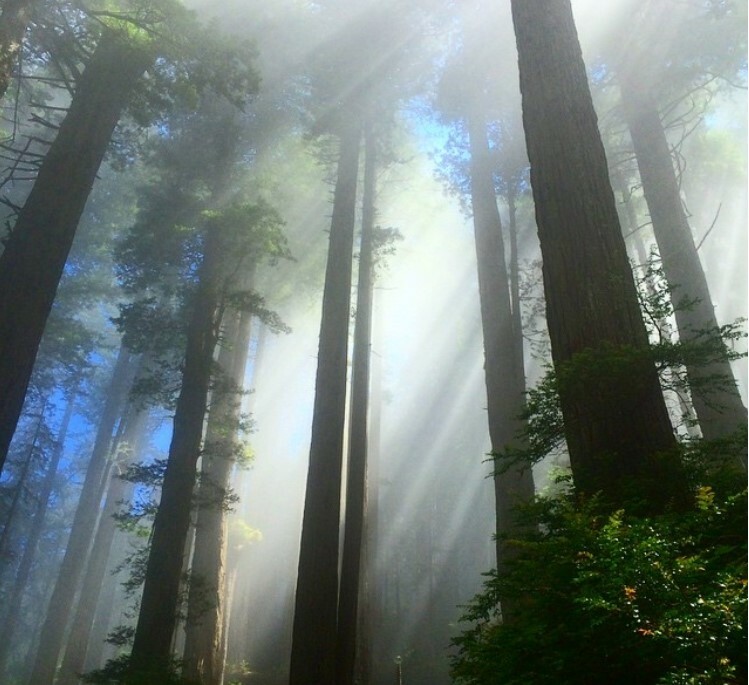 In Redwood National Park, one of the essential hikes to pencil in is the Redwood Creek Trail. This 16-mile hike should NOT be rushed, for the natural views are definitely something you need to take your time to truly enjoy. This trek typically calls for a night of camping along the way. One of the premier hikes in Del Norte Coast Redwoods is the Damnation Creek Trail. This 4-mile route starts on Highway 101 and descends through all kinds of beautiful growth and massive understory. It concludes on the mesmerizing bluffs overlooking the Pacific. 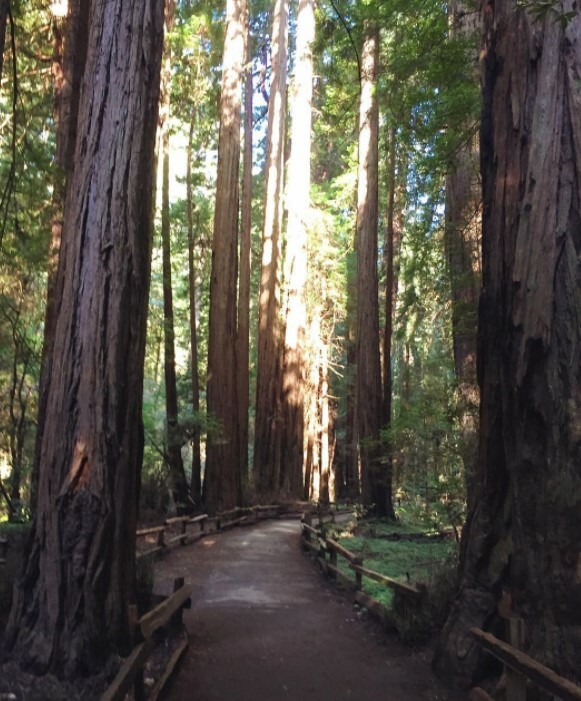 If you decide to visit Jedidiah Smith Redwood, the Boy Scout Trail is one of the best ways to experience the ancient natural growth of the region. While this near 5.5-mile hike is more on the remote spectrum, the untouched layout will provide a raw look you won’t forget. As you advance through the lush forest, you will slowly climb to wider, more revealing views until the endpoint at Fern Falls. In Prairie Creek, the James Irvine-Miner’s Ridge Loop is a park staple that all first-timers should aim to do. 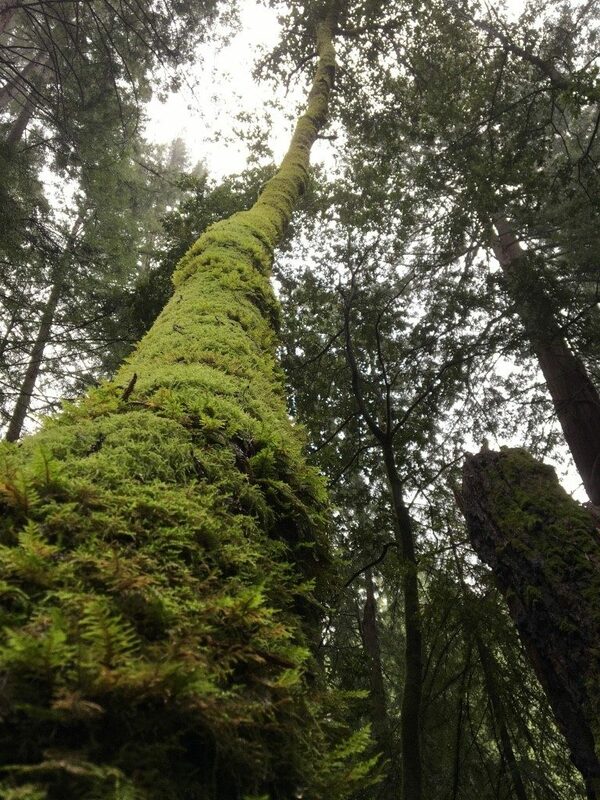 On this 10-mile hike, you will see some the largest trees in the entire forest. If you start on the east trailhead (by the visitor’s center), the path will slightly ascend along the Godwood Creek valley and into a dense ravine. Next, you will walk through the steep Fern Canyon, a crevice crawling with a plethora of fern species. The gorgeous halfway point takes place on the Gold Bluffs Beach, before the return trip on Miners Ridge Trail. The Redwoods is an experience unlike anything else. 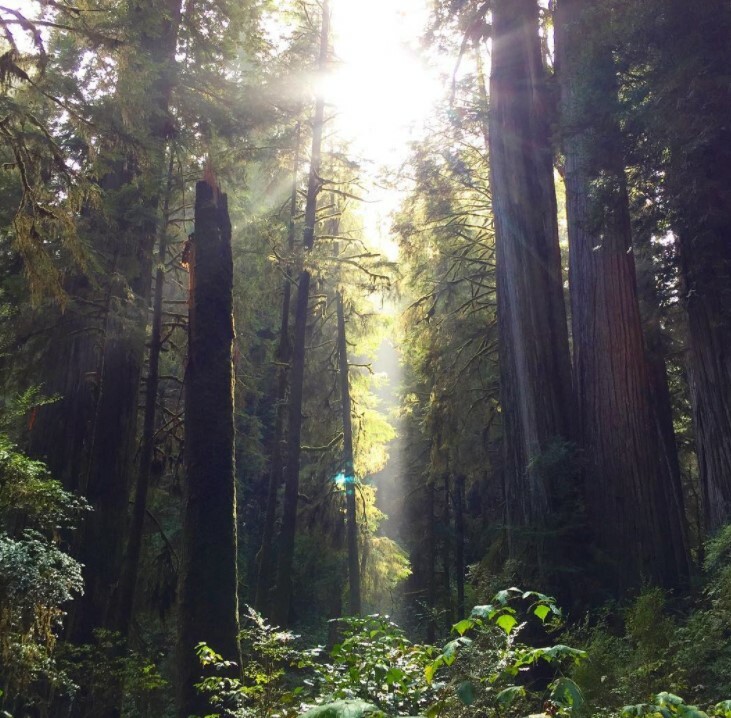 If you visit Northern California, one of these parks should definitely be in your plans. 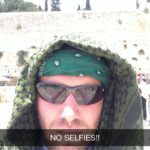 Click here to start planning your trip! 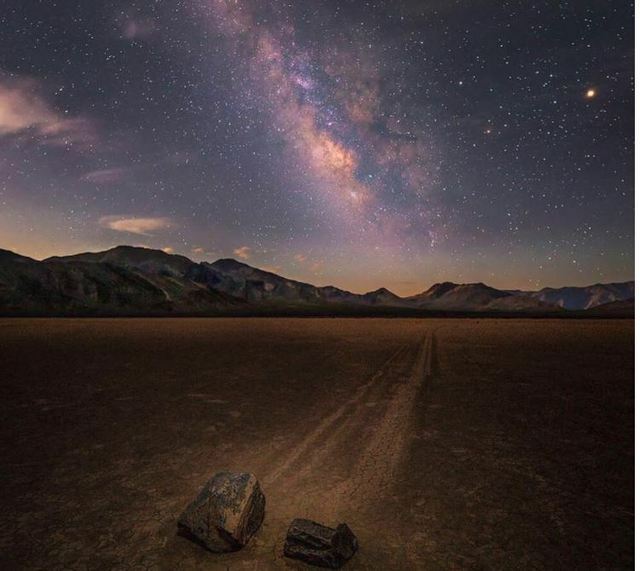 Don’t let the intimidating name deter you from Death Valley National Park. 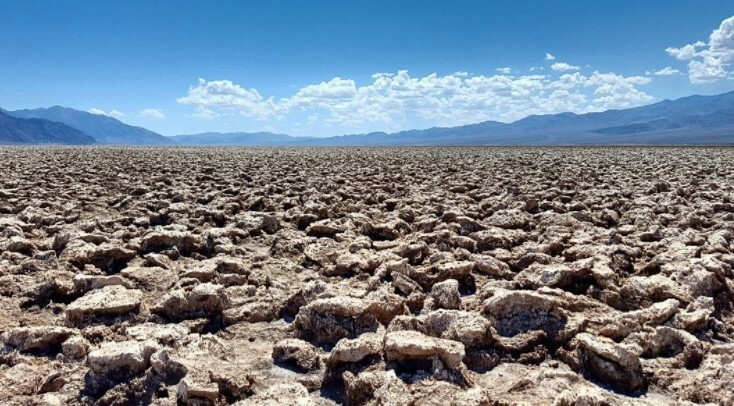 The lowest point in the United States is one the most fascinating landscapes on earth. Chock-full of crazy geological rarities and imposing sand dunes, the natural history of this place is something out of a dream. It’s important to note that visiting in the summer months will be excruciatingly hot. The conditions during this time of year likely contribute the name of the park. 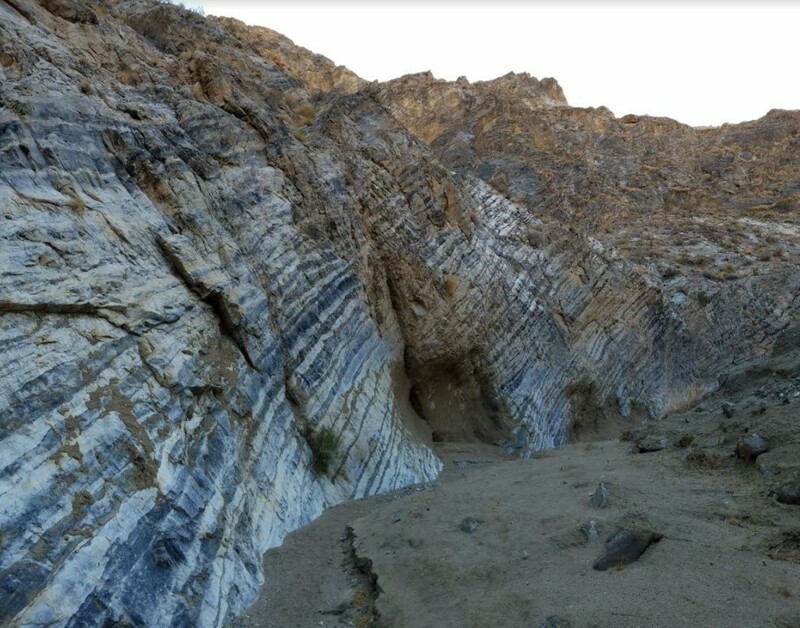 If you want to see the true beauty of Death Valley, the best times to go are in the early spring or late fall. Winter is not a bad time to come, either. The days will be cool and nights will be chilly – with a small chance of rain. The snowcapped peaks in the background add an extra touch to the awe-inspiring views. The Devil’s Golf Course – The surface of this site is rocky, rough, and scattered with crazy-looking salt structures. If you walk through these grounds, tread lightly! Badwater Basin – 292 feet below sea level, this is the lowest point in the western hemisphere. The landscape is full of funky salt flats that make plant life nonexistent. To put in perspective how low this spot really is, all you need to do is look across the valley at the Telescope Peak, which is about twice as tall as the depth of the Grand Canyon! 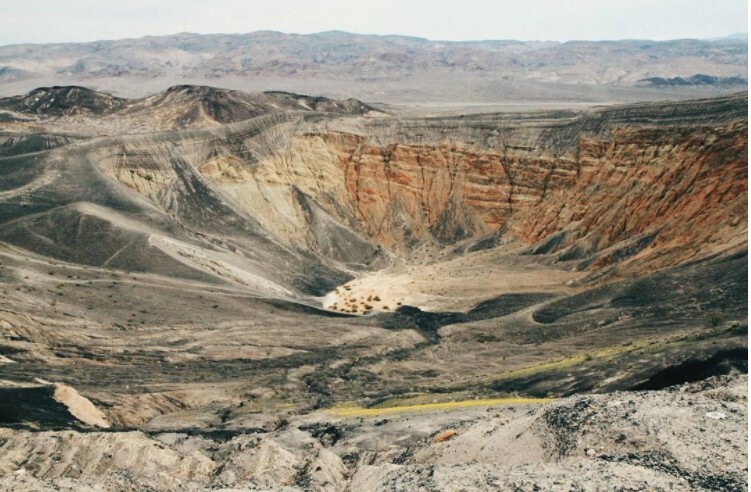 Ubehebe Crater – If you want to get a taste of what the scenery might look like on Mars, this is it. The result of a superheated groundwater explosion, this 600-foot abyss has several hiking options. If you want to go to the bottom, the trail is quite steep, as you could probably imagine. While the trip down is fun, the way up will undoubtedly leave you sucking wind. The Little Hebe Trail will give you an awesome view of the orange and yellow fault line, which acts as the divider of the eastern wall of the crater. The Rim Trail is a 2-mile sandy circuit that is a lot more level than the other hikes. The howling wind makes the temperature a bit cooler than the rest of the park. 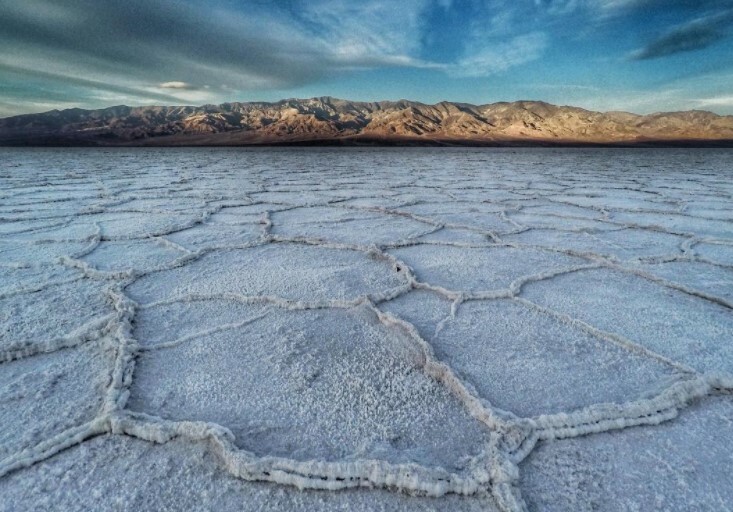 A trip to Death Valley National Park requires a good deal of planning. If you don’t want to be “roughing it” while camping during your stay, there are a handful of hotels and resorts to consider. California is one of the most inspiring places in the world. Of all the natural wonders this state boasts, this list is only a start. There are books filled with tons of great advice and information about how to explore the Golden State and everything it has to offer. If you’re planning to visit the west coast, these four national parks should definitely be on your radar! Kevin is a proud Southern California transplant from the Midwest. His love of travel and writing was the inspiration to create Impulsive Wanderlust. From 9 to 5, Kevin works in marketing as a senior copywriter and content strategist. When he isn’t writing or traveling, Kevin is either rock climbing, hanging out at the beach, or seeking out his next favorite craft beer.